The stringers are now temporarily in place . Insure that the cross sections are properly spaced, and use a level to insure they are level both vertically and horizontally. Tape the ends of the gunwales and chines . 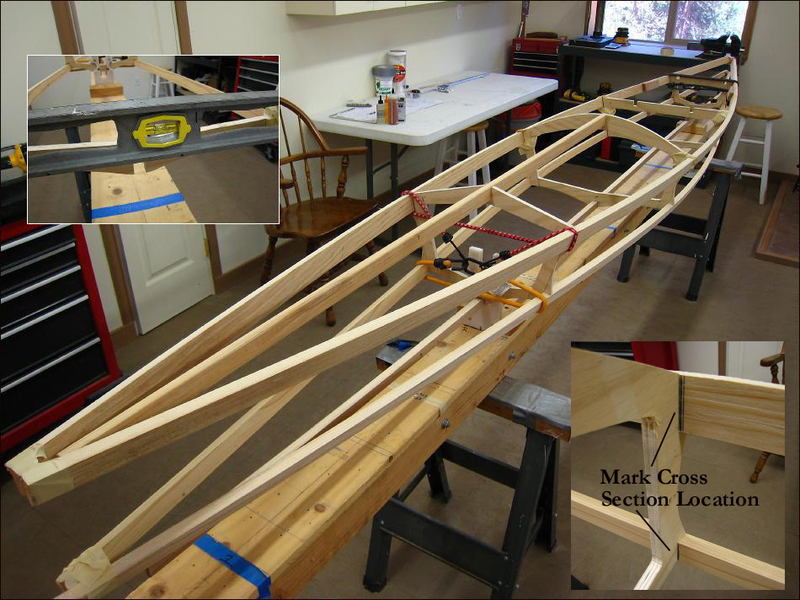 Mark the cross section locations onto the stringers for gluing. Next, create the stem plates.